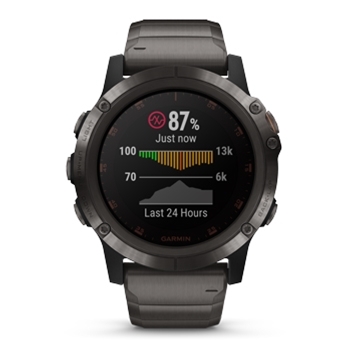 The Garmin Fenix 5x Plus is sleek and stylish. 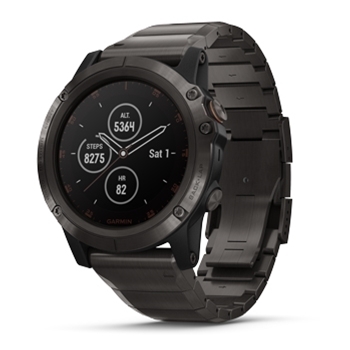 With its rugged Titanium Band as well as an additional silicone band, this high-performance GPS watch featuring a multitude of activity related, entertainment and guidance centered features can be worn at the office or at the gym. 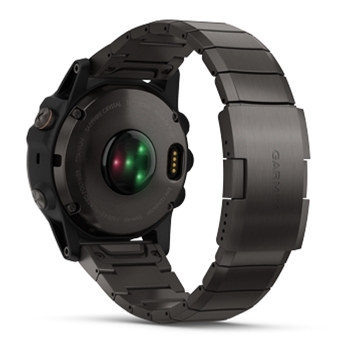 Rugged in design, the 5x Plus watch is waterproof (10 ATM) and boasts a scratch resistant domed sapphire lens. Multi-satellite network capability is a unique feature of the Fenix Plus, using GPS, GLONASS and Galileo satellites to provide the most accurate GPS position possible.